This post is part two from the shoot I did with my friend Jo of Jo Johnson Photography in Columbia a few weeks ago! 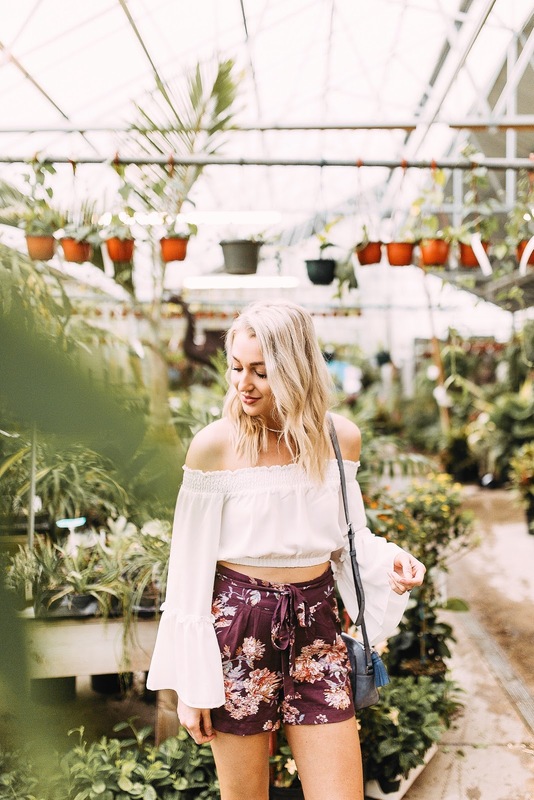 For the full story of why we shot in this gorgeous greenhouse check out my first post here. Gallery Style Boutique sent me this gorgeous little set (top, shorts) for the shoot and I am still so obsessed! 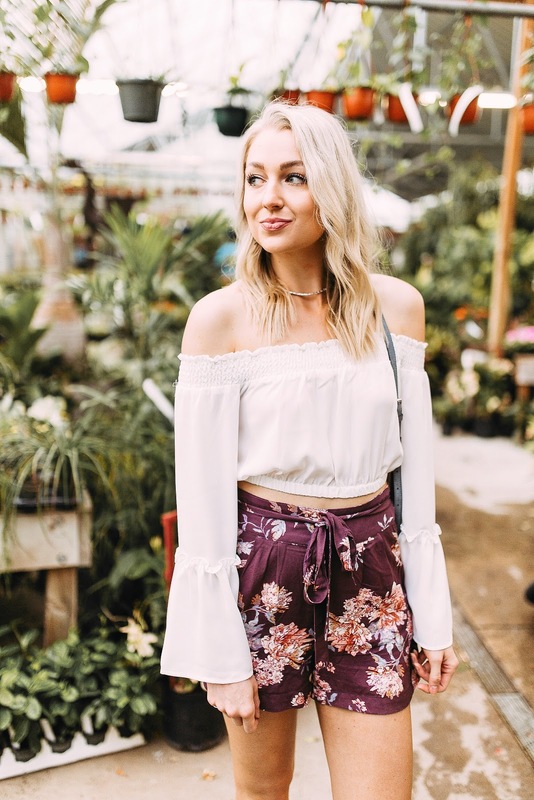 I love that this outfit defines the waistline and is so comfortable yet flattering. 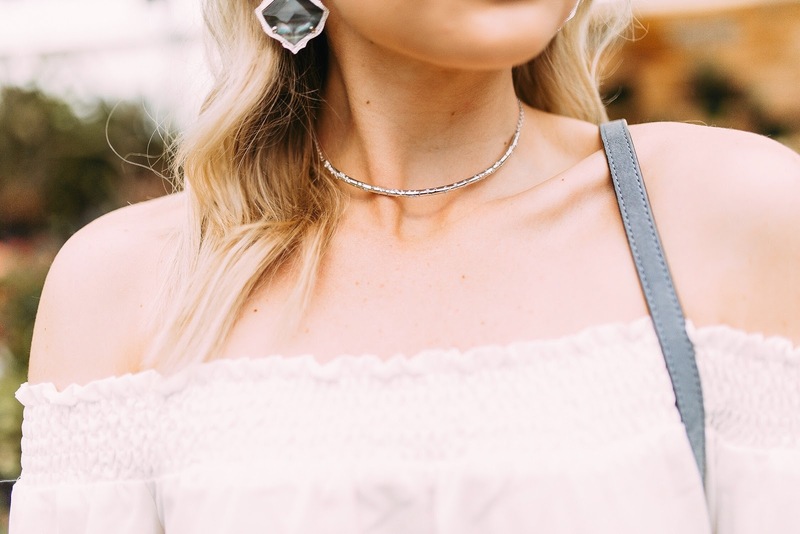 We also got to partner with one of my very favorite jewelry brands, Kendra Scott (via their beautiful St. Louis store), to style some of their gorgeous summer collection! 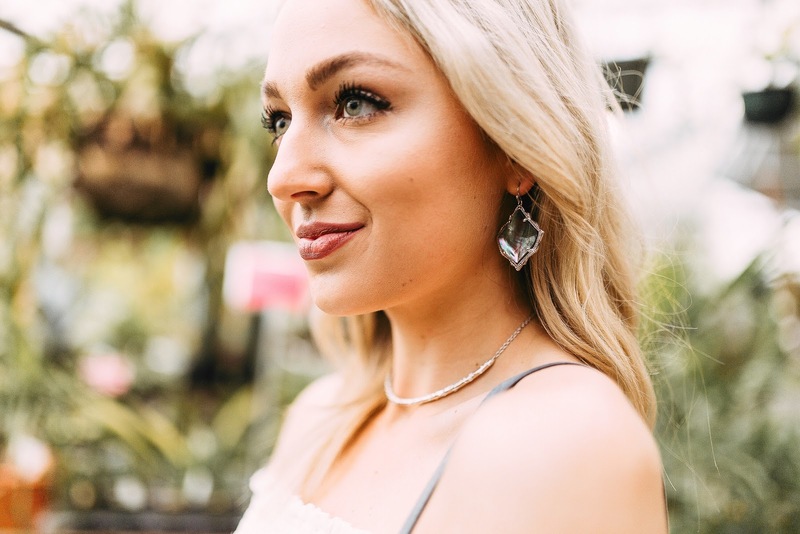 I love this necklace that can be adjusted to a wide range of lengths (the choker length is my favorite though), and these stunning statement earrings that totally give off mermaid vibes! I hope you girls are all having a great week! I get to see my sister this weekend for the first time since February, so I'm wanting the rest of my work week to fly by! She moved to Virginia last August for law school and we're super close, so it's been hard on me to only see her a couple of times in a year!